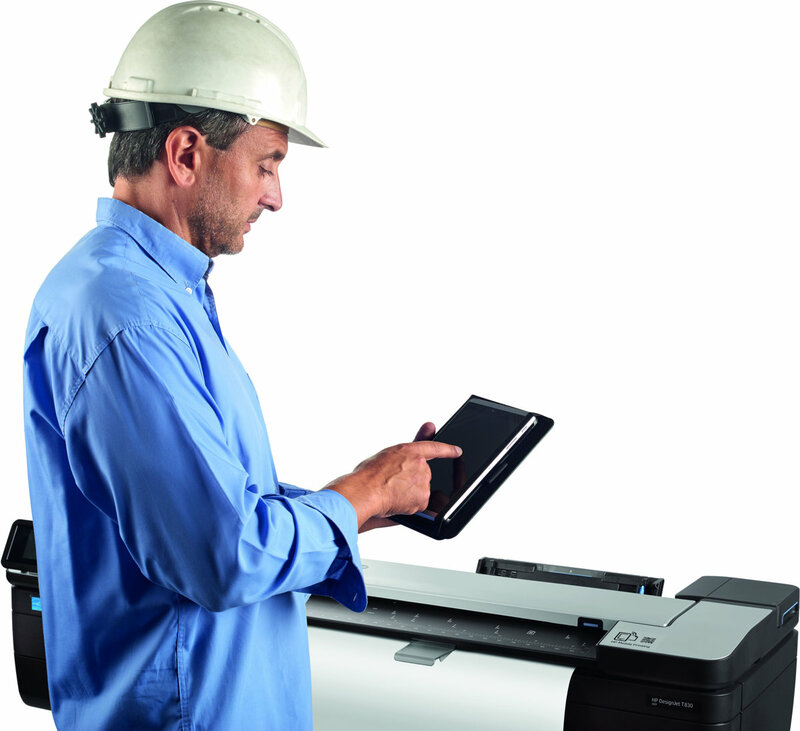 Copy, Print and Scan your A1, A2 and A3 Construction drawings on the world's first affordable A1 MFP plotter. 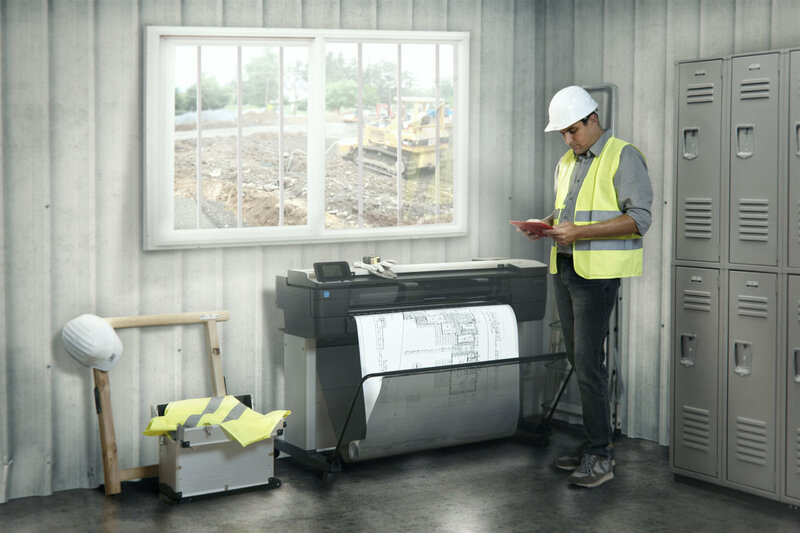 The most compact multifunction printer with a sleek integrated design is the ideal fit for the office and construction job site, and simplifies printing with HP Click printing software. Print from a smartphone or tablet with HP Mobile Printing. 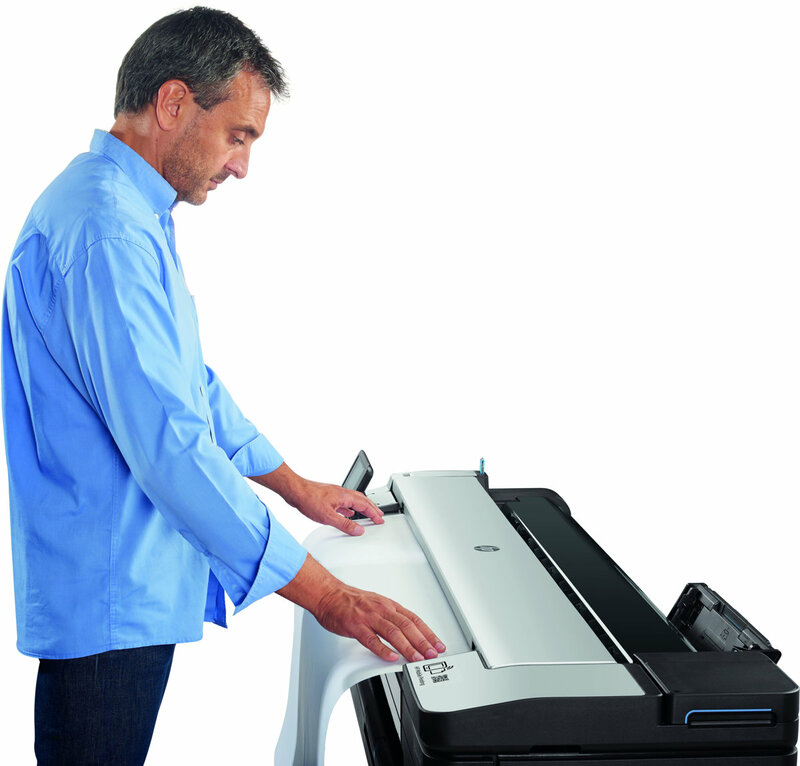 The HP Designjet T830 24" A1 printer brings a New benchmark in multi-functional wide-format printing and scanning. 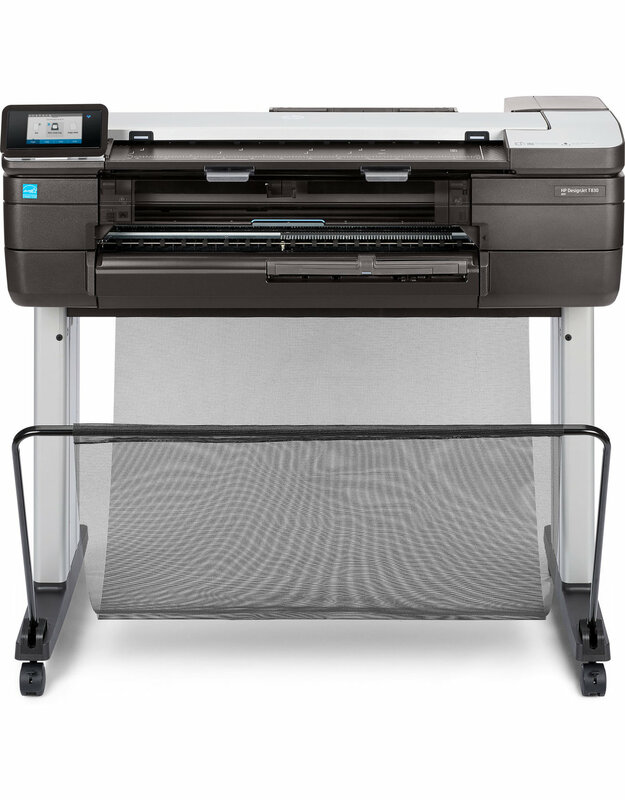 This A1 full colour plotter is ideal for smaller workgroups whom require the functionality of a production machine but without having the volume needs of a larger work group. The integrated media tray delivers A3 cut sheets, ideal if you want to load up with presentation media for new projects and proposals. Larger Sheets can be delivered from the 50mtr online roll feed and automatically cut. 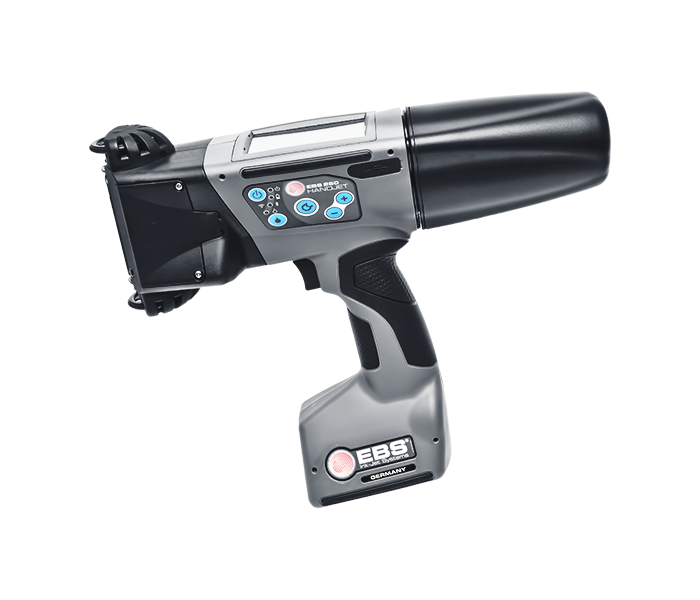 An easy to navigate large control panel allows for simple scan and copying functions, as well as all the normal controls you'd expect such as ink and machine status, scroll down to select media types to maximise print quality.